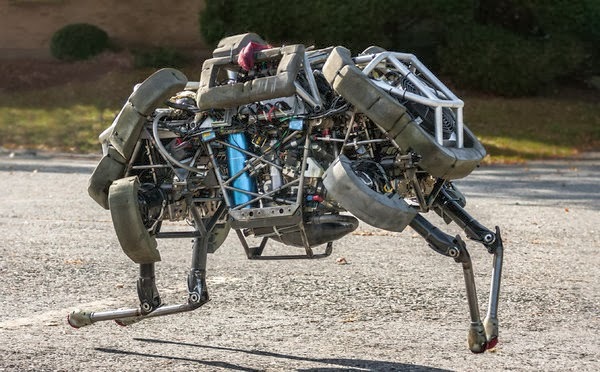 Google may have just entered Skynet territory with its acquisition of Boston Dynamics, an engineering company that has designed robots for the Pentagon and has close ties to the Defense Advanced Research Projects Agency. Google (GOOG) has been aggressively buying robot makers over the past year, and its larger autonomous-machine strategy is overseen by Andy Rubin, the Google executive who led the development of Android. Here’s some quick background on Boston Dynamics, a 1992 spinoff from MIT that has been run by Marc Raibert. The company has been the beneficiary of the Pentagon’s interest in robotic warfare. Big defense budgets during the 2000s financed the deployment of thousands of robots, including unmanned aerial and underwater vehicles sent to Iraq and Afghanistan. Raibert’s crew has also developed a quadrupedal pack robot called the Legged Squad Support System (LS3). Beyond that, Boston Dynamics has a prototype human-like robot in the works called the Atlas that can walk upright and use its hands for balance while squeezing through narrow passages on surveillance or emergency-rescue missions. As for the Cheetah, Raibert told me in early 2012 that he thinks the cat-bot could clock speeds of nearly 40 mph once key design and technical features are further refined. “We’ve solved a lot of the engineering problems,” he said back then. He also declined to say when such a technology would be ready for the battlefield, but he said this sort of machine could someday serve as a “scout robot” and “maybe deliver some payload.” The bot may also be useful in emergency rescue and civilian disasters. 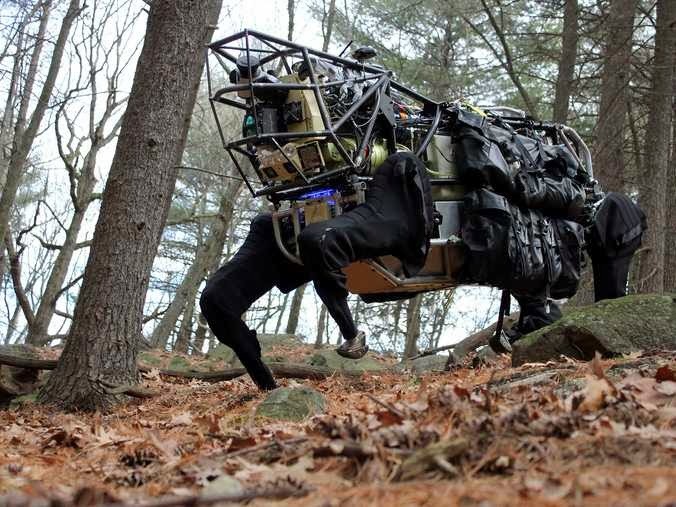 Will the Cheetah under Google’s ownership ever be deployed for combat? It’s worth recalling that one of Google’s 10 corporate precepts is: You can make money without doing evil.